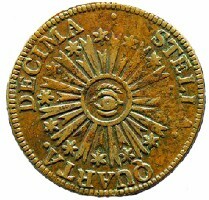 Colonial coins refer to all coins in circulation in the British American colonies before the U.S. Mint opened for business in 1792. 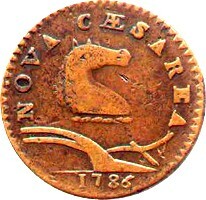 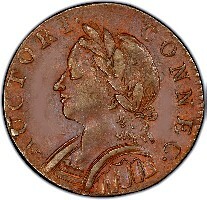 These include coins minted in the colonies of Connecticut, Massachusetts, and New Jersey, as well as Vermont, even though Vermont did not become a state until 1791. 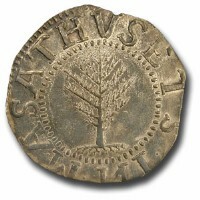 The phrase “colonial coins” also encompassed coins from other countries that were used in the colonies, including coins from Spain (reales), the Netherlands (daaldes), and Britain (shillings and pence).